Take your tablet outside for movie night in the yard or with you on camping adventures. Use it to entertain the kids in the living room. Or just use it for a lazy day in bed. 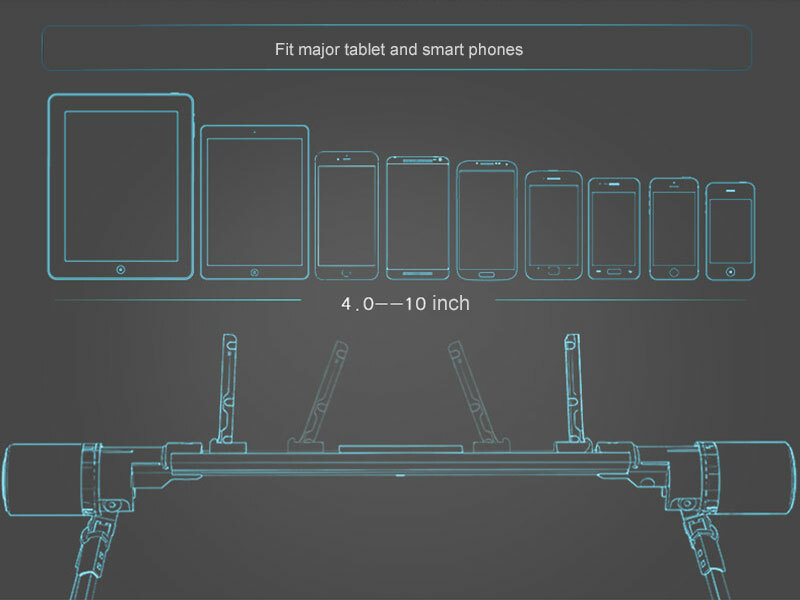 Better than a projection system or gathering around an iPad on a table, this device will allow you the freedom to take your tablet anywhere. 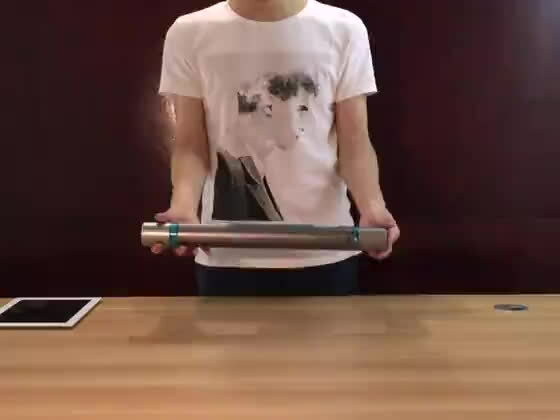 This innovative device transforms from a compact cylinder measuring 18 x 2 inches into a large, stable stand that can hold most tablets and smartphones. 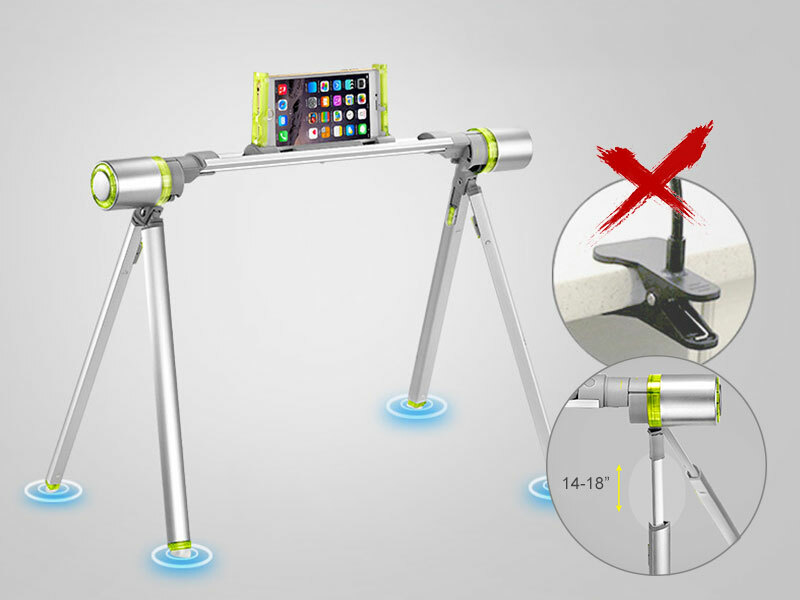 It can be height adjusted from 14 to 18 inches and rotated up to 50 degrees to ensure the best viewing angle. Made of Aircraft Grade Aluminum, it is both lightweight and strong. Built in magnets and locking design secures the stand when it is open and closed and keeps the tablet secure in the holder. Non-slip silicone foot pads will keep the stand in place and not mark or scuff your floors. 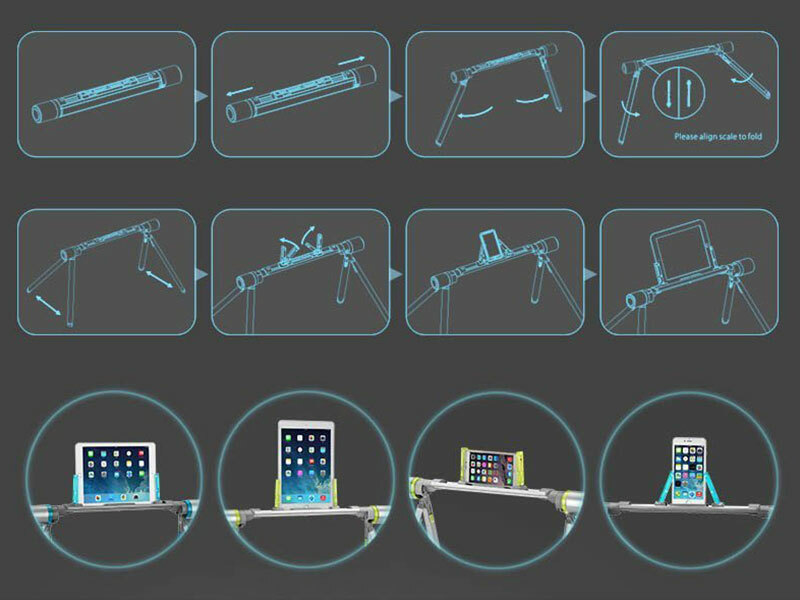 Hold your phone and tablet anywhere you want, in bed, on the floor, in the couch, outdoor, etc. Non-slip silicone foot pads will keep the stand in place and not mark or scuff your floors. Adjustable height of 14-18 inches for your needs. Stable, good for watching moive, even playing games. 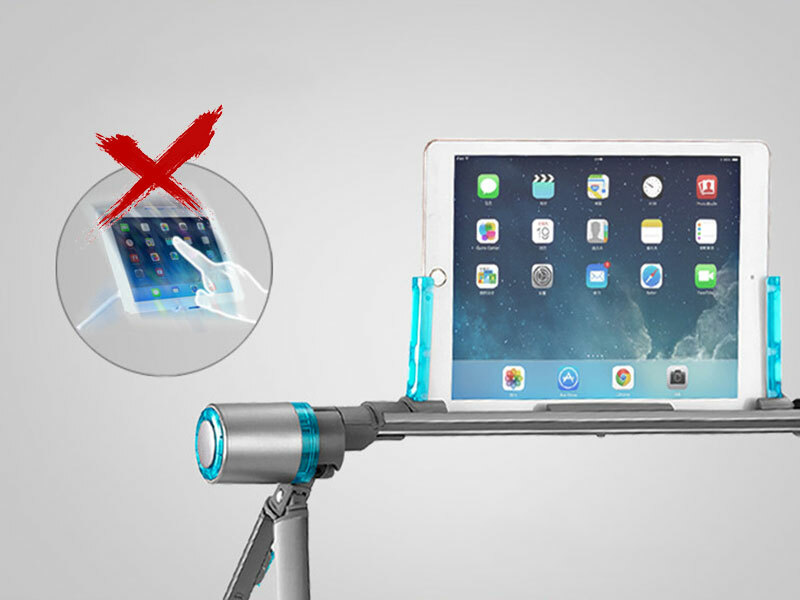 Built in magnets and locking design secures the stand when it is open and closed and keeps the tablet secure in the holder. No assembly is required, just take out of the box and start transforming, fun and easy to use. Holder bar can tile 50 degrees for optimum viewing position.